You will drive through extremely dry deserts... along deep canyons... visit lively cities and colorful markets... see lots of animals of the Andes... and, off course, the goal of this trip: the best South America has to offer... the lost city of the Inca's: Machu Picchu, deep in the Andean rain forest. Arrival in Lima and Pisco - You will arrive in Lima on day one, the lively capital of Peru, just for one day to travel the following day further south by luxury bus to Pisco. Here we will welcome you and you will meet the team that will support you for the next days on your tour. After an extensive briefing you've got time to explore the surroundings. Pisco - Huacachina - Early in the morning we start with a boat ride to the Ballestas Islands with their incredible wildlife. Penguins, seals and millions of seabirds will be your share. These islands are also called 'The Poor Man's Galapagos', a real treat! And then the first day on our motorcycles! We leave Pisco/Paracas through the desert, so we start really off road. We are heading for Huacachina, the most beautiful oasis in the Americas, where we will spend the night. Sandboarding and a spectacular dune-buggy ride wraps the day up. Huacachina - Nasca - A relatively short ride through the desert to Nasca. 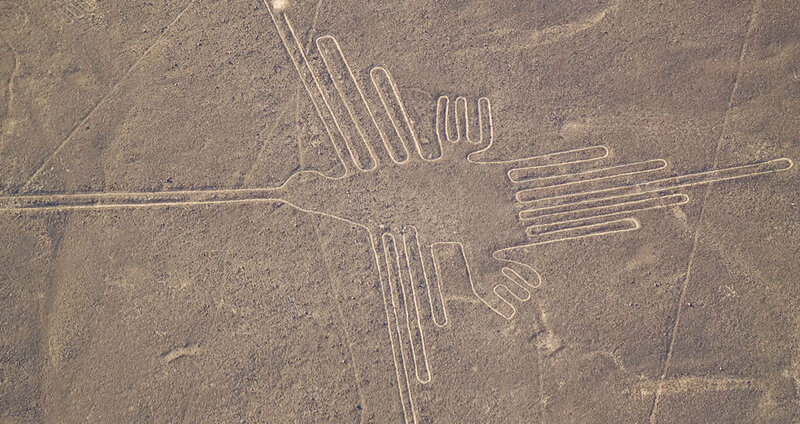 Here you have the opportunity to fly over the world-famous Nasca-lines. Not visible from the ground these lines and figures are there for hundreds of years, still a mystery. Nasca - Chalhuanca - Directly behind Nasca the mighty Andes brings us to more than 4.200 meters, where we will meet the lama's and vicuñas. Here starts the best road for motorbikes in South-America. 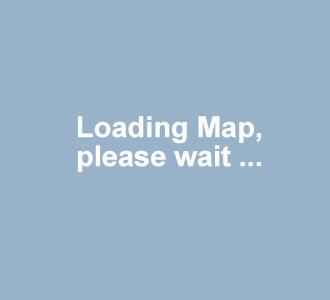 If you have ever ridden the "Dragon's Tale", well this the same... but for hundreds of miles!!! We pass tourist-less Puquio, a beautiful little village in the high Andes with a very attractive Plaza de Armas (main-square). And then over the Andes to Chalhuanca. Chalhuanca - Cusco - After an early breakfast and enough of ascending and descending we will, via Abancay, arrive in one of the most beautiful cities of South-America: Cusco. The ancient capital of the Inca's. We enter Cusco on the Avenida del Sol (Avenue of the Sun), the most important god of the Inca's. The next day is to discover Cusco. In the evening you can explore the vibrant nightlife in Cusco. 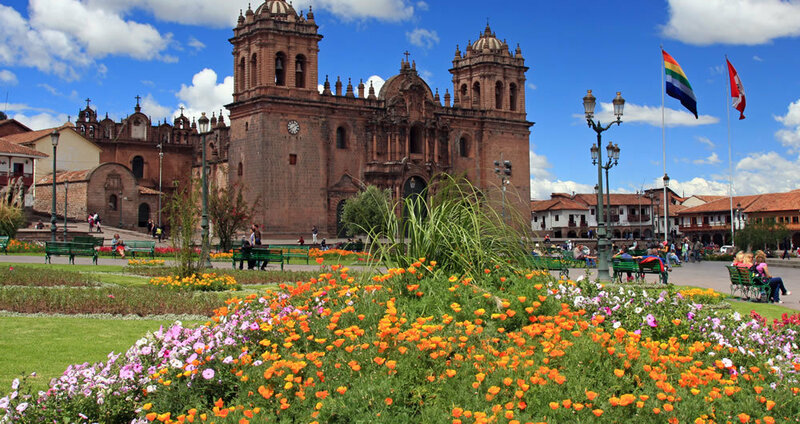 Cusco - You will have all day to discover one of the most beautiful cities of South-America: Cusco, the ancient capital of the Inca's. Stroll it's little steep streets, the Plaza de Armas, local markets, the cathedral, museums, ruins of Sacsayhuaman and much more. 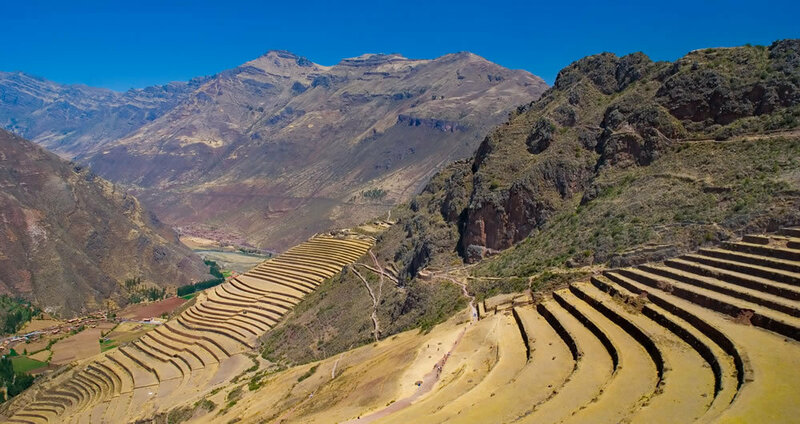 Cusco - Ollantaytambo - From Cusco we ride into the "Sacred Valley of the Inca's". Here we will visit a variety of Inca ruins. Some well-known, some unknown, but very interesting. We'll end the day in Ollantatytambo. Machu Picchu - Because there is no existing road to Machu Picchu, there is no other option than the train. 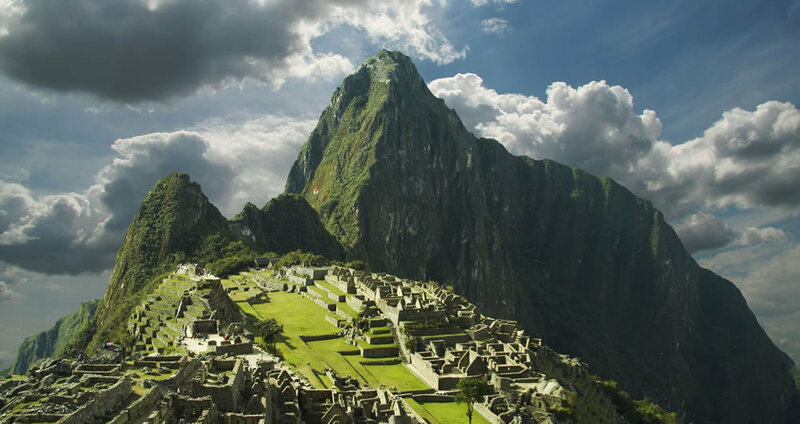 The lost city of the Incas is something that you cannot skip when visiting Peru. Famous all over the world because of its setting, the architecture and the mystery of this city, in the inaccessible Andes makes it worth while to visit. In the evening we will return to Ollantaytambo, the same way we came... by train. Ollantaytambo - Espinar - A quiet connection day, but the views here in the Andes are unforgettable! After passing Sicuani we'll leave the asphalt behind us and ride only on gravel-roads. We stay in a very basic hotel in Espinar. Espinar - Chivay - We have to cross the Andes once again. By far the longest and toughest stage of this tour. All day off-road on gravel and sand, but the pay-offs are the spectacular views on the mighty Andes. We end the day in Chivay, a nice little town in the heart of the Colca Canyon, the deepest canyon in the world. More than twice as deep as the Grand Canyon! Here we can wash of the dust in the local hot springs. Chivay - Arequipa - We are heading into the Colca Canyon, one of the best spots in the world to see Condors in their natural habitat. But before we are there, we have to challenge again bad roads close to the Canyon, but the surroundings are awesome with lots of Inca terraces on both sides of the canyon. After visiting "Cruz del Condor" we go to Arequipa, where we will arrive in the afternoon. Arequipa - Lima - In the morning you'll have all the time to explore this beautiful city once more. In the afternoon the transfer to the airport to get your flight to Lima and your connection to the city of origin. -All entrance-fees for museums, parks, etc.